The Legendary Winter Hamper Raffle! 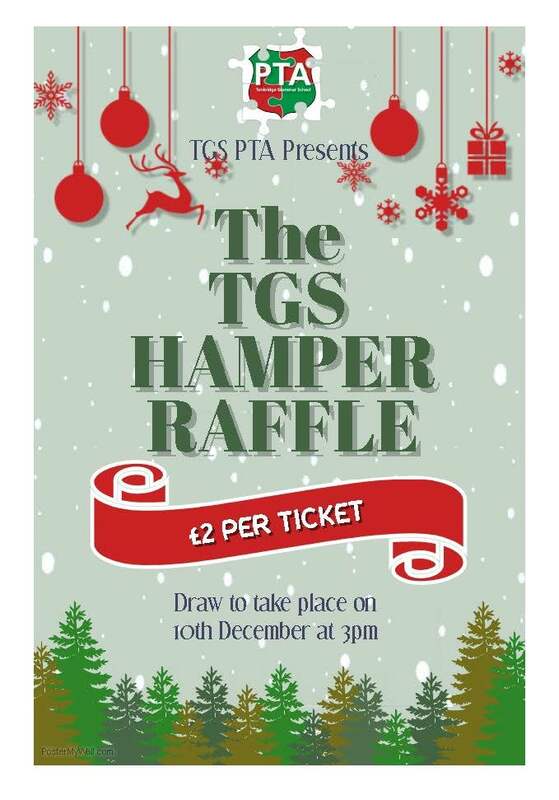 The TGS PTA are once again organising the Great Hamper Raffle in conjunction with The Winter Fair, which will be held on the 10th December, 2017. Last year the raffle raised over £1,800 for the school and we are hoping to beat that figure this year. All pupils will receive a booklet of 5 raffle tickets for you to purchase. Each ticket is £2. This year there will be a prize for the Learning Community that sells the most tickets. Extra tickets can be obtained from the school reception, so please sell to family, friends & colleagues and dont forget 100% of the funds raised goes back into the school. The draw will take place at 3pm on the 10th December at The Winter Fair. Winners not present will be notified via phone.